Morris Yachts have had great success with their Sparkman & Stephens designed M-Series line, so it’s only logical that they continue to come up with M-Series daysailers that bring a simple/classic sailing ethos to sizes big and small. 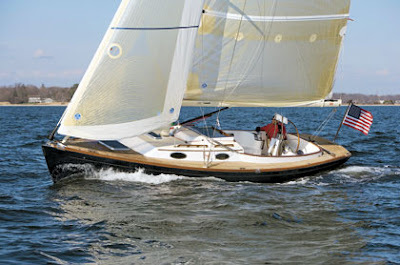 Early next year the biggest–the M52– hits the water, as well as the smallest–M29. Much has been said about the “big daysailer genre”, so its refreshing to see Morris go smaller, and closer to what most of us think of as a daysailer. 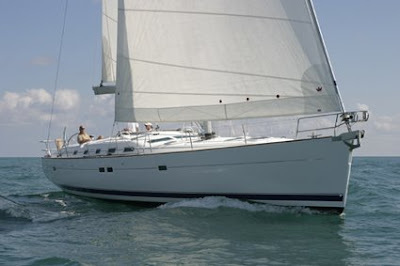 The M29 benefits from all the company has learned from previous models (M36, M42, and M52) as well as provides useful features like–actual owner trailerability (with a big SUV) and a built-in spinnaker launcher that makes it possible to launch and retrieve a spinnaker single handed. It has tiller steering and will fit in a container if you are into shipping your boats in containers. This looks like a fun boat, and I’ll be sure to run a video of the test. I hope to get on one next winter. What’s its PHRF? Any Race results obtainable?